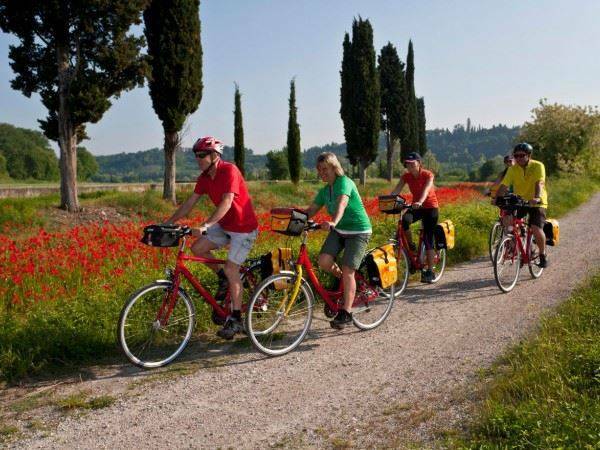 We are really passionate about Italy as a cycling holiday destination and have selected cycling holidays that really showcase the varied nature of the country. For cycling holidays in Italy, Freewheel have the whole country covered, from the Dolomites in the north to cycling holidays in Sicily in the south. You'll ride around wonderful cities like Venice, Florence and Verona, and also enjoy the remarkable scenery of rural Tuscany, Sicily and Sardinia on your bike. For something a bit different why not try our popular ‘Boat & Bike’ holiday between Venice and Mantova, or follow the Adriatic coast from Venice round to Porec in neaby Croatia? The islands of Sicily and Sardinia offer a great off-season choice for early or late in the year sunshine. We have selected cycle tours with convenient starting points to make joining your cycling holiday as simple as possible. 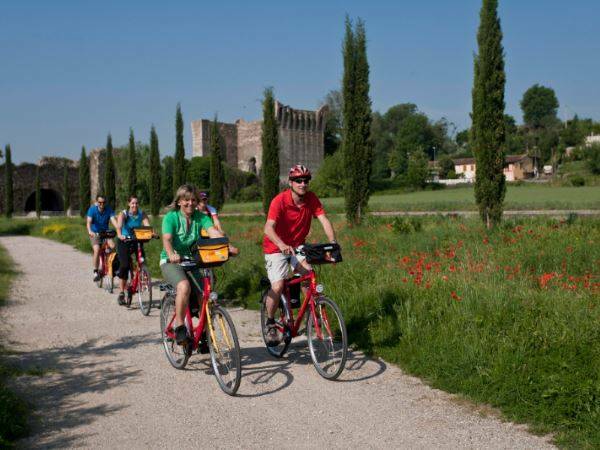 Many of the cycling holidays in Italy start close to main airports such as Milan, Pisa or Venice for ease. 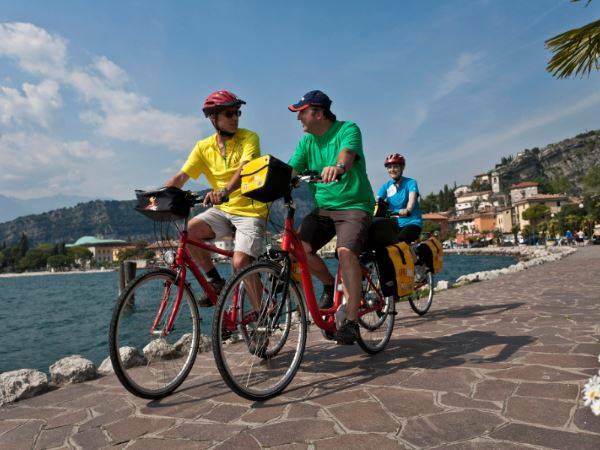 You then transfer by local transport to the starting point of your cycle tour in Italy. We advise you on how to do this. All cycling holidays in Italy include at least B&B accommodation, maps, route guide, bike hire and luggage transfers. Optional extras such as half board and E-bikes are available for a surcharge. Blending nature, culture and fine cuisine, this leisurely bike and barge tour along the waterways of..
Somewhere, far beyond the horizon, Venice and the sea are waiting for you! But there will be many t.. This Dolomites summer holiday starts in Resia at the head of a large manmade lake close to the Austr.. This tour will take you through the cultural sights of Sardinia with beautiful scenery and fabulous ..
Start and end in two of Italy’s most famous cities on this self-guided holiday from Florence t.. Cycle on bike paths in the river valleys of the Inn and Adige rivers on this self-guided holiday fro.. 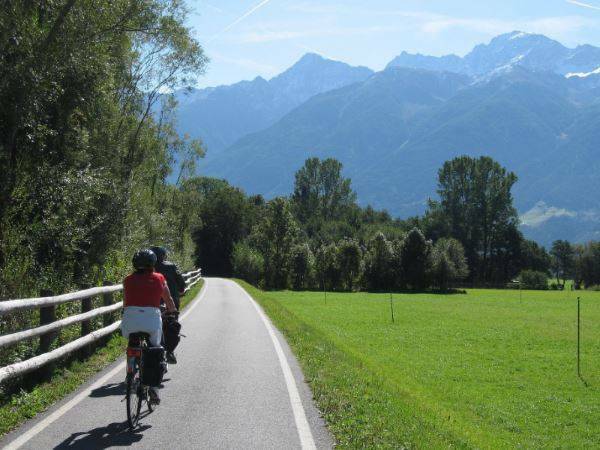 This easy bike tour follows the ancient trade route from Innsbruck to Verona, where old railway.. Enjoy fantastic views of Lake Garda as you explore the region around this famous lake on this self-g..
Wild animals, steep roller coasters or mysterious labyrinths? Tell us what you like, and we will tak.. 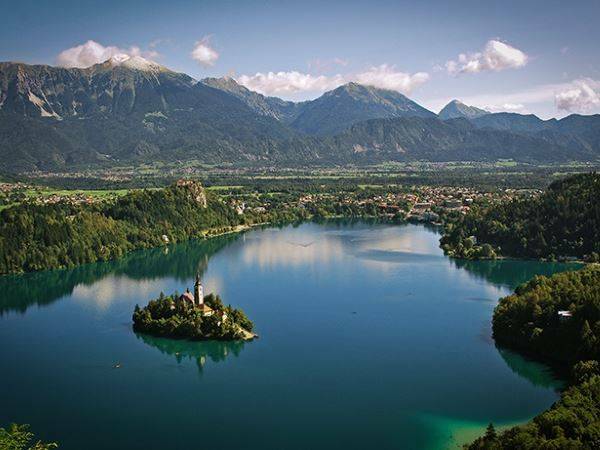 Cycle from Lake Reschen to Verona on this self-guided holiday in Italy’s Southern Alps. Follow..